Bath is a spectacular city and every time I visit it never ceases to amaze me. The thriving city has an ancient heritage. It has everything to offer from wonderful sight-seeing, a true cultural vibrancy, a great food scene, diverse museums and the wonderful Roman spa baths – not to mention the great shopping! The city is perfect for a weekend escape where you can combine all of the above and get to have the perfect spa time too and what better place to check into than the boutique hotel, No.15 Great Pulteney? This luxurious townhouse hotel is located a stone’s throw from the centre near Bath Abbey and the Roman Baths. 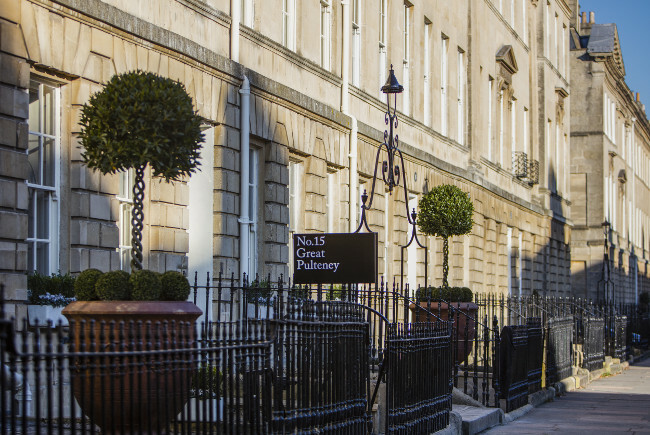 No.15 Great Pulteney is situated on Bath’s most iconic neoclassical street, made up of three Grade 1 listed townhouses which has 40 individually decorated bedrooms. Big Ben sits in one of the windows of the hotel, this is a large indicator that No.15 is one of fun and grandeur. On arriving, you immediately feel very welcome as it has a warm home-from-home vibe. It’s also very nice that they check you in and show you the larder which is where you can help yourself to old fashioned sweets and fudge and find a bright red SMEG fridge full of mini bottles of milk for your tea and coffee. The art theme follows through with young aspiring artists displaying their work in their bedrooms. All the bedrooms and suites are luxurious and comfortable giving you a pillow list of varying comforts and the ensuite bathrooms have lovely Aromatherapy Associates beauty products. The hotel celebrates Bath’s rich history and has embraced the waters of Bath with its own luxurious ‘Spa 15’ which offers day spa experiences for guests and visitors offering a hot tub, a sauna, facials, skincare and holistic treatments. I tried the reflexology treatment which was professionally done and afterwards felt I was walking on air down the streets of Bath! The hotel’s spa has four treatment rooms including The Sock Room! 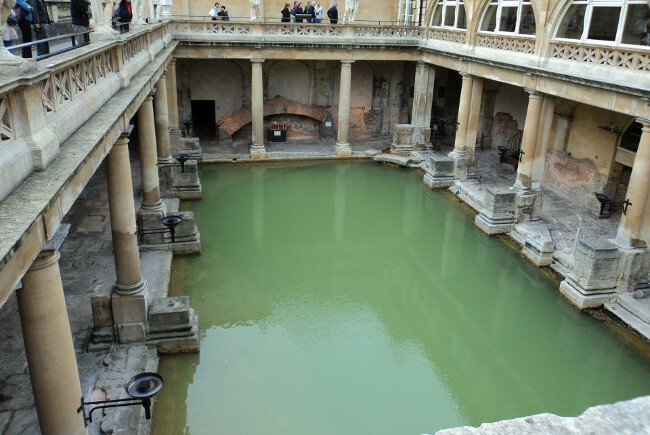 The city’s most popular attraction is the Roman Baths which date back to AD43. With steaming baths, hypocaust (underfloor heating) systems, and the remains of the temple to Sulis Minerva, this extraordinary Roman site is captivating. This is Britain’s only hot spring and the Romans built a magnificent temple and bathing complex that still flows with natural hot water that rises at a rate of 1,170,000 litres each day at 46 degrees. 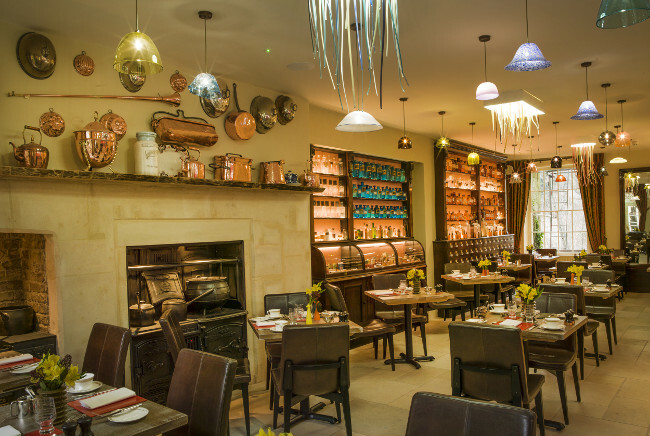 At the Romans Baths visit the Pump Room for lunch or afternoon tea. 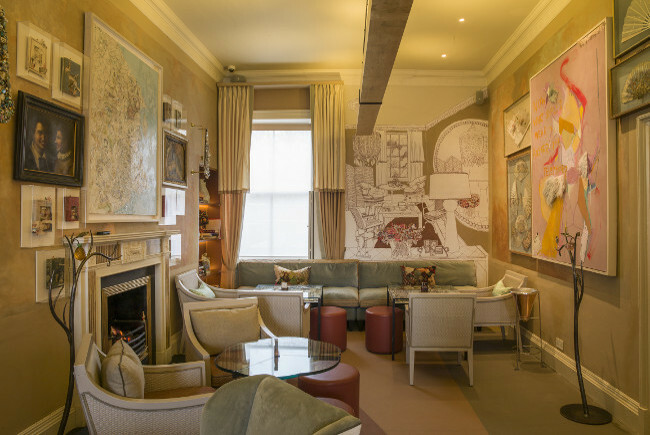 Once at the heart of the Georgian social scene, today the Pump Room is still elegant serving delicious brunches, afternoon tea with super service. 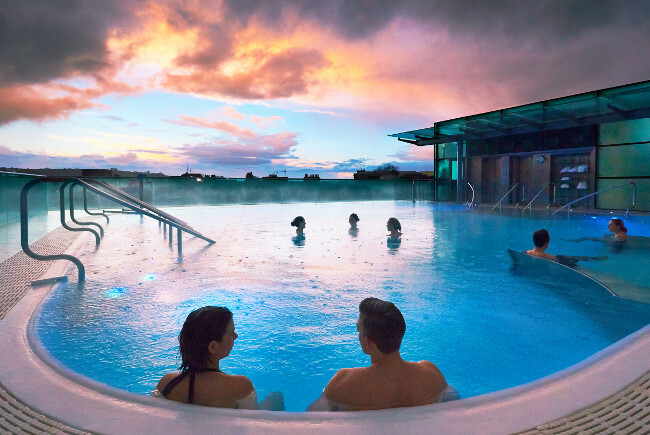 Now you can experience the naturally warm, mineral –rich waters of Britain’s only natural springs with the opening of the Thermae Bath Spa. The thermal waters which fell over 10,000 years ago and then sank to a depth of 2kms are heated by high temperature rocks before rising back through one of the three springs in the city centre; The King’s Spring, The Cross Spring and the Hetling Spring. The Thermae Bath Spa is open to everyone to relax and enjoy. You can indulge in the open-air top roof pool, by day and by night, float away in the Minerva Bath and enjoy the best steam rooms ever sampled with aromatic essences including eucalyptus and mint and lemongrass and ginger. The new wellness suite includes many saunas, steam rooms and an ice room. 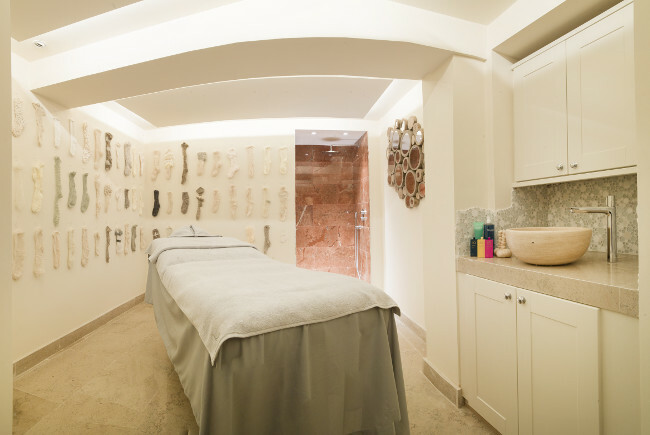 Spa treatments are offered where you can indulge in a range of thermal treatments, water massages, hot stone therapies, facials and beauty treatments. The Cross Bath Spa is a Grade-1 listed building and home to the only place in the UK where visitors can see the naturally warm mineral rich spring water come to the surface from a specially commissioned open-air thermal bath within stunning Georgian surroundings. This is where the mineral-rich waters rise from the Cross Spring. This beautiful Georgian space is available for hire for private parties or for exclusive sessions. After a day in the spa, shopping and sight-seeing, No.15 Great Pulteney is a welcome retreat! 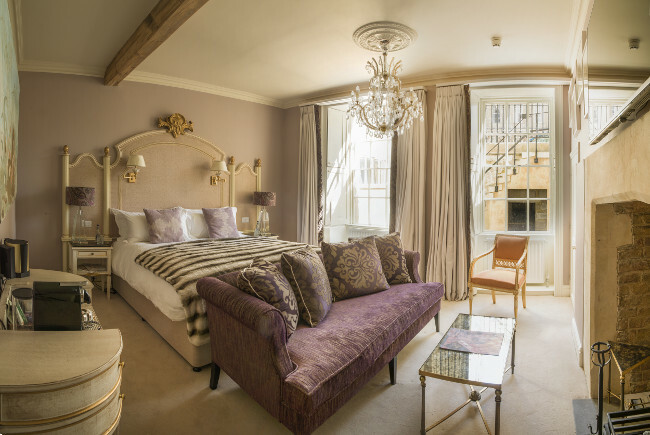 A double room at No.15 Great Pulteney, Bath, is £124 per night.